Seoul, South Korea & Los Angeles, California (April 3, 2018) – CJ 4DPLEX, the world’s leading 4D company, has reached the 500th 4DX screen milestone with the launch of its newest location at Pathé Belle Épine Cinema in Thiais, France. The first film screening in 4DX at this location is “Ready Player One” – an ideal showcase for the innovative film technology that features motion seats and environmental effects such as rain, fog and various scents. To celebrate the achievement, 4DX and Les Cinémas Gaumont Pathé held a grand opening ceremony with top executives from both companies. This included CJ 4DPLEX CEO Byung-Hwan Choi, who presented a commemorative plaque and 500th 4DX Auditorium trophy to Jérôme Seydoux, Chairman of Pathé, and Martine Odillard, Chairman of Les Cinémas Gaumont Pathé. 4DX is now the fastest premium format to reach 500 screens. It eliminates the boundary between the audience and the film with motion chairs that move in perfect synchronicity with the movie being shown on-screen. The immersive theatre technology was launched by CJ 4DPLEX in 2009 and opened its 100th location in April 2014. Since then it has rapidly expanded around the world, opening its 200th in November 2015, its 300th one year later in November 2016, its 400th 10 months later in September 2017, and its next 100 locations faster than ever – just seven months after its 400th opening. It is the fastest developing format. With this opening, more than 61,000 4DX seats have been installed in theatre auditoriums across 58 countries, with the capacity to accommodate more than 111 million worldwide moviegoers per year. The accelerated growth of 4DX has been driven by Europe, which added 35 screens in 14 European countries, including the first 4DX theatre in Denmark, since its 400th site September 2017. In the past seven months, the volume of 4DX theatres has grown by 64% (from 54 sites to 89 sites) and the number of seats has increased by 57% (from 7,000 to 11,000). To date, more than 11,000 4DX seats have been installed at 89 screens in 21 European countries, with the capacity to accommodate nearly 20 million moviegoers per year throughout the continent. The European 4DX footprint accounts for 17.8%of the 500 4DX screens worldwide. 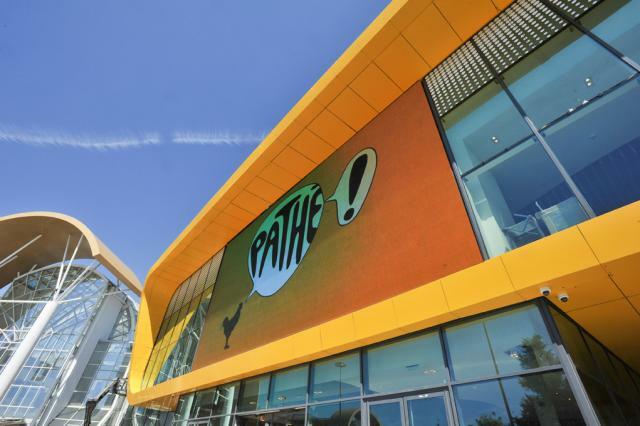 Moreover, CJ 4DPLEX has strengthened its goals by signing a rollout partnership with Les Cinémas Gaumont Pathé, targeting 50 sites with the exhibitor by 2020. With the 500th 4DX screen opening, 4DX is now available in 16 screens at Les Cinémas Gaumont Pathé locations in Europe. CJ 4DPLEX (www.cj4dplex.com) is the world’s first 4D cinema company, headquartered in Seoul with international offices in Los Angeles and Beijing. The company created 4DX, the first and leading 4D cinema technology for feature films, providing moviegoers with an immersive, multi-sensory cinematic experience, allowing the audience to connect with movies through motion, vibration, water, wind, snow, lightning, scents, and other special effects that enhance the visuals on-screen. CJ 4DPLEX brings 4DX auditoriums to exhibition partners along with 4DX codes for both major Hollywood blockbusters and local titles, as well as content ranging from concerts to commercials. Each 4DX auditorium incorporates motion-based seating synchronized with more than 20 different effects and optimized by a team of skilled editors, maximizing the feeling of immersion within the movie, beyond the limits of audio and video. Since 2009, more than 500 Hollywood titles have been screened in 4DX. To date, more than 61,000 4DX seats operate in 500 auditoriums spanning 58 countries.